I always dreamed of traveling overseas. I never thought it would happen. But thankfully, I was able to see this dream fulfilled via my seminary education. At the end of May, a group of Garrett students (myself included, of course) made the long journey across the pond to Italy. Staying just a few short blocks from the walls of Vatican City, we set out on a two-week journey of exploring the history of Rome, both secular and sacred. In all my life I could never have imagined the profound impact this trip would have on me. Church after church, ruin after ruin, step after step, I found myself more deeply connected with history—with stories of those who have made their home in the great cloud of witnesses. People who died for their faith, and people who lived for it. People willing to stand firm in their convictions, even if it meant making the greatest sacrifice of all. People who sought after fame and glory, and who found it, if only for a short while. People whose lives seem not so different from my own, and people whose lives and my own are worlds apart. While I valued and appreciated the time I got to spend with my traveling companions, I also appreciated the chance to explore and enjoy the city on my own, at my own pace, with less of an agenda. I was able to meet up with some non-school friends who happened to be in the city at the same time. I went to bistros, relishing the solitude of a stroll along the Via del Corzo. I made new friends, one of whom I spent several evenings with eating pizza by the Pantheon before bingeing on gelato in Piazza Navona. I sat with my book in outdoor cafés ordering cappuccino after cappuccino. I thought about the churches we visited and what it might have been like to worship in them back in the day before there was such a thing as "Protestant." Even now, sitting in the comfort of my home on the north side of Chicago, I can smell the pasta, artichokes, and vino. I can hear the constant sound of running water. I can taste the sweet, sweet gelato on my lips. 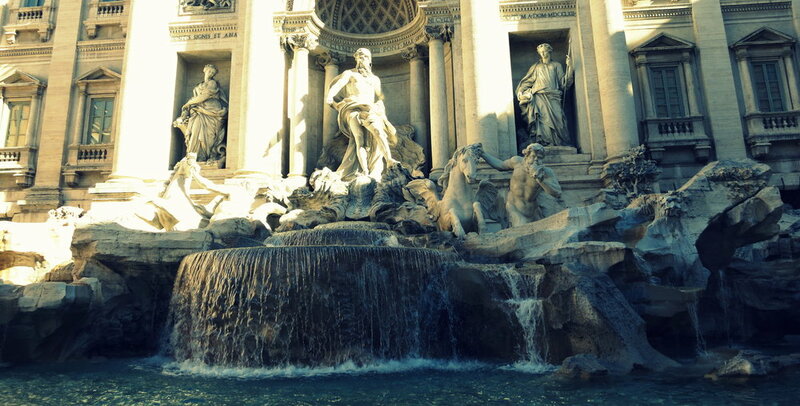 And I can feel the warmth of the Roman sun on my skin. Even if it was only a once-in-a-lifetime journey for me, I'm thankful for it and for the people who shared it with me.